Honda Vultus Forum > 2014+ Honda Vultus Tech Section > Electronics > Replacing the stock horn. Has anyone replaced the stock horn with a Denali soundbomb? Does the NM4 have enough AMP draw to use it? Thanks. The stock connectors will not work as the circuit does not have the amps to drive the soundblaster. 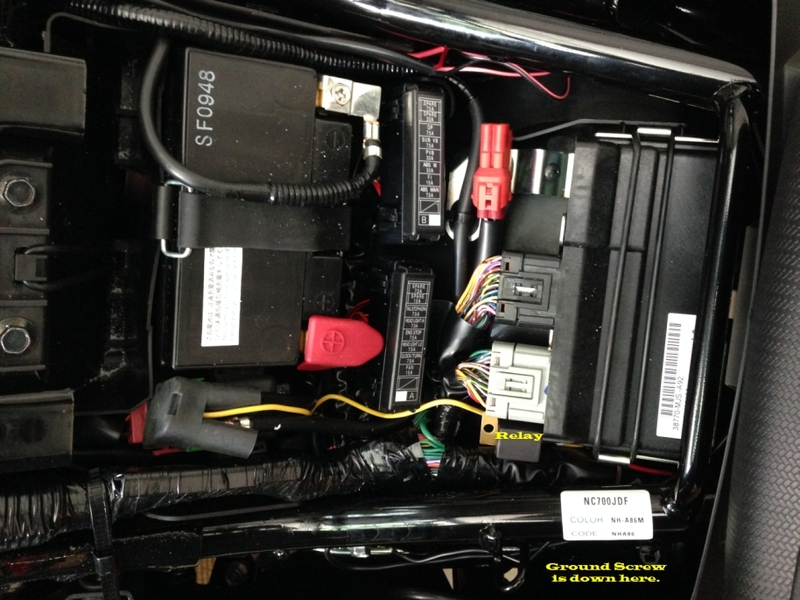 You'll need to install a relay triggered from the stock connectors that drives the horn from a line from the battery. Something similar can easily power a horn. Here is a picture of the relay installed so you can get an idea of how small it is. I replaced the stock horn on both our NM4's (2015 and 2017) with the FIAMM Freeway Blaster, Model # 72112. Very straightforward, with no electrical or mechanical mods required. Remove electrical connectors and unscrew old and attach leads to new horn and screw in... Easy, fast, cheap and effective! Last edited by letterip; 06-11-2018 at 03:08 PM.